Earlier this week we had a team visit the tel for a special project. I was really excited that they were visiting as I wanted to see how their technology worked. I haven’t talked too much about specifics of my work, but the main instruments that I work with utilize Optical Coherence Tomography (OCT) to look at the layers of tissue in the eye. The team that visited the site were using a manual shock-wave system to look for structures underground. The technology that they used is very similar in concept, but much different in execution. The team started by laying out sensors in a line across the area to be tested. After the sensors were all connected into a computer system they started the testing. The team members then used a sledge hammer to strike a metal plate that generated shock-waves which were transmitted down into the ground and were reflected back up to the sensors. 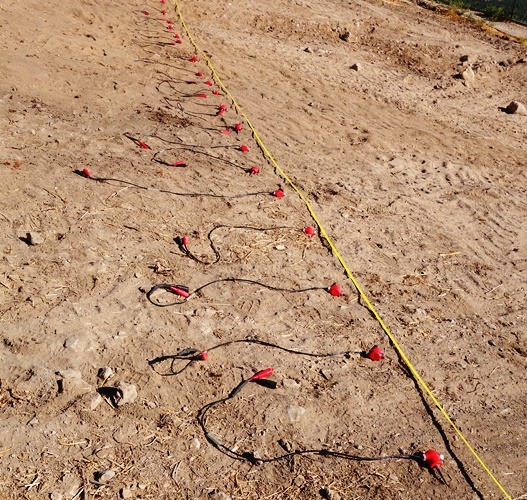 The sensor array then recorded the feedback which will help determine the tomography of the site. We had to stop digging and sit quietly to reduce ground vibrations which would be picked up as noise by the sensors. The basic concept is the same one that we use to determine the layers of the retina in the eye. We send a ray of light into the eye and look at the return signal. This is simply using sound at a much lower wavelength. 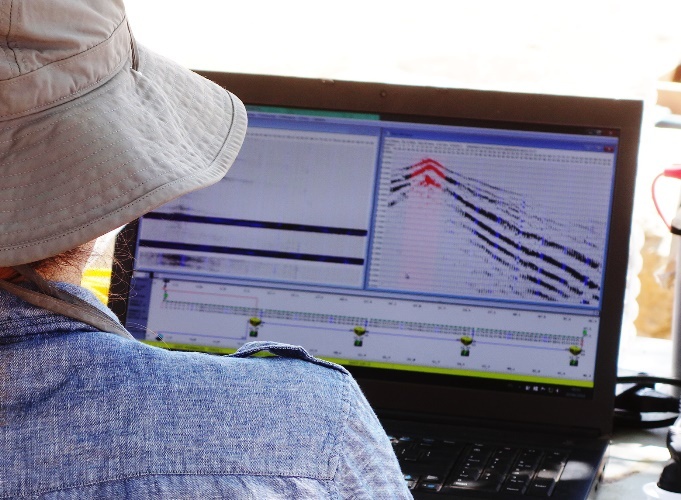 It is easy to see the topography of the site, but this technology enables us to see what is below the surface (tomography). So what were they looking for under the ground? 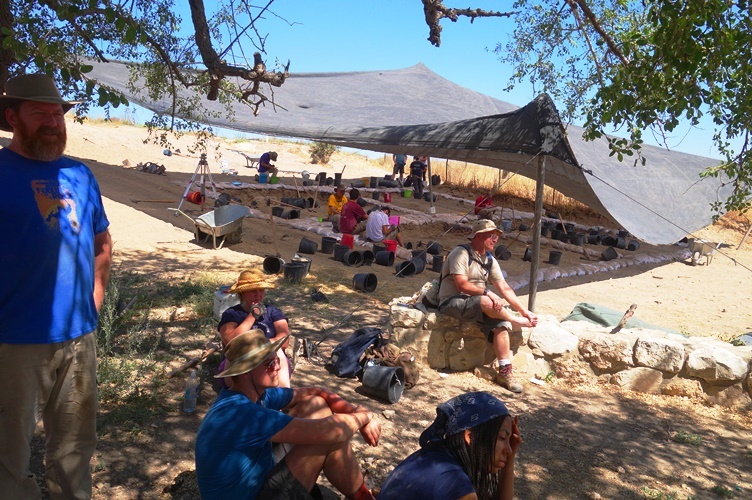 For years they have been looking for a water system at Lachish. A city of this size should have a water system like others in Israel despite many attempts to locate it. 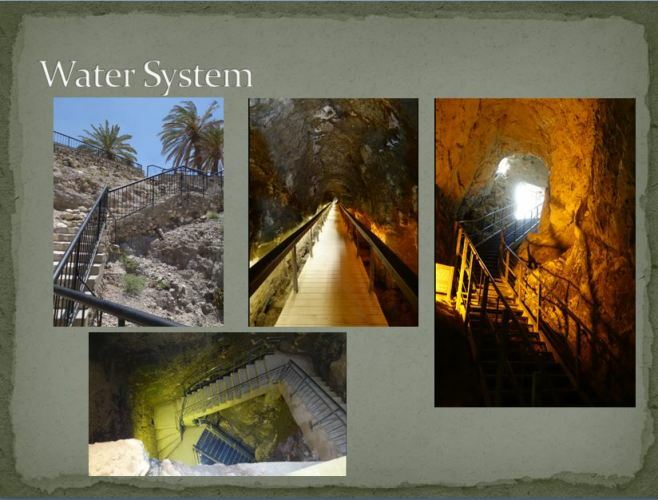 The slide shows the water system at Megiddo. It is a good example of water systems from other sites. The technology that was used this week does not give immediate results, instead the process is mainly just data collection which must be analyzed using software running on a more powerful computer than the average laptop. The results should come soon, so keep on eye on Luke Chandler’s blog as he will write a post once we know more about what was found. Today we also visited an area on the tel where another excavation took place earlier this year. Unfortunately I can not share what was found, but there should be a press conference soon about it. At that time I will share some pictures. Now for a restful weekend in Jerusalem before heading back to the dig on Sunday afternoon. 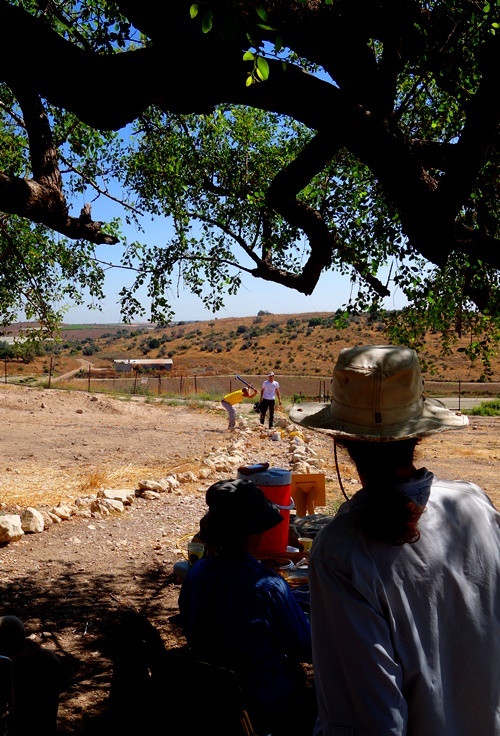 This entry was posted in Archaeology, History, Israel and tagged archaeology dig, Ground penetrating radar, Lachish, Tel Lachish, tomography, Water System. Bookmark the permalink.